Anyone who has enjoyed previous collaborations by guitarist John Stowell and saxophonist Michael Zilber will be delighted to discover that nothing gets lost in the transition from studio to stage on this 2012 concert recording. It’s an intimate quartet affair, marked by the kind of soulful, instinctual interplay that fans have come to expect. 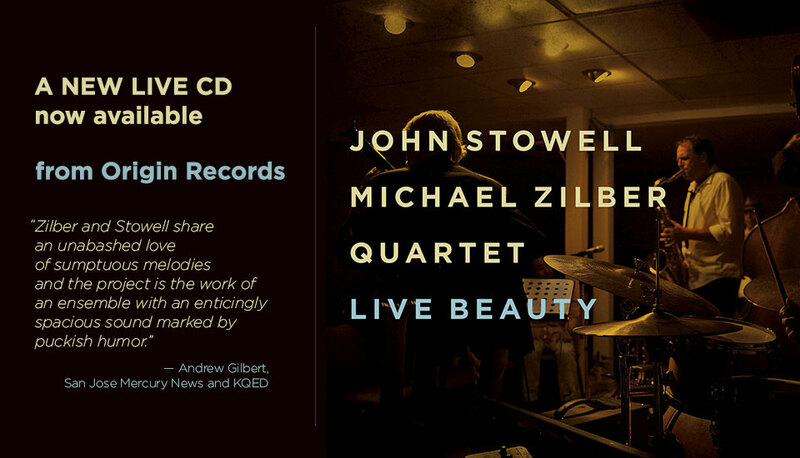 In the album’s liner notes, Stowell and Zilber briefly discuss their creative relationship, the yin and yang of opposing musical temperaments. And as the performances unfold, it’s easy to understand why they think their compatibility is as special as it is unlikely. Stowell’s probing lyricism and Zilber’s innate passion are clearly evident, especially when the reedman plays soprano, but so, too, is the desire to find common ground. Certainly the kinetic “Quantum Theory,” the noir-ish “In the Park” and a multifaceted cover of “My Funny Valentine” are proof of that. Drummer Jason Lewis and bassist John Shifflett have integral roles throughout, shining as both players and composers. When Lewis isn’t contributing rhythmic lift with his tumbling rolls, or generating waves of second-line funk on John Scofield’s “Wabash III,” he light-handedly creates a scrim of tinted accents. 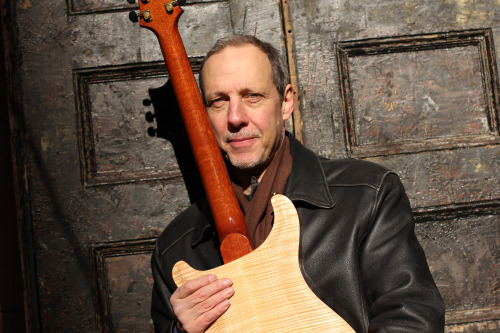 Shifflett’s solos, sleek and sinuous, are particularly well aligned with Stowell’s ruminative streak, though the bassist is more often heard supporting the bandleaders with a resonant yet never intrusive sound. 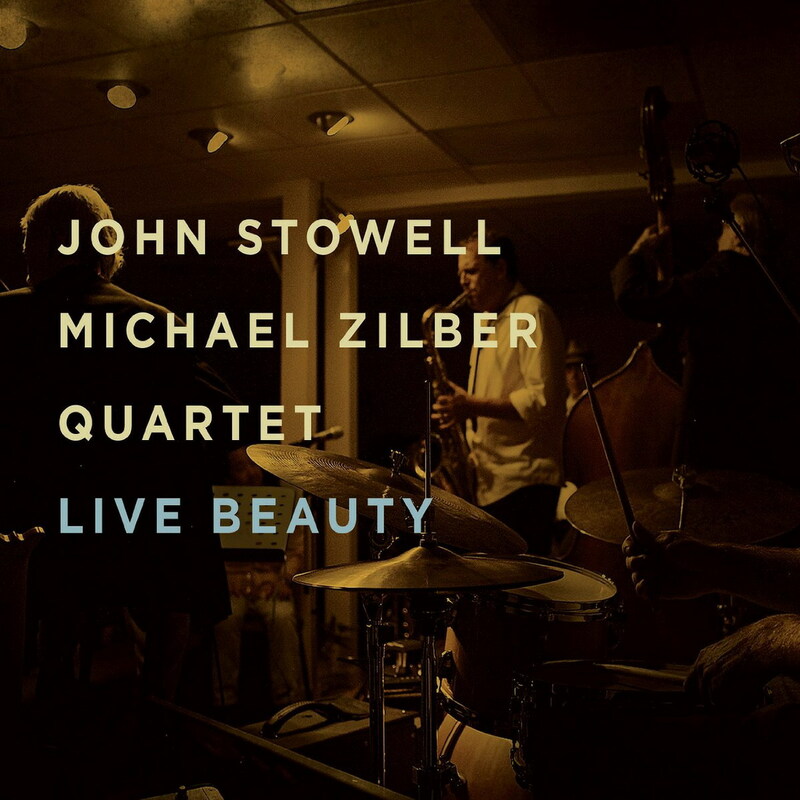 So even when the focus is squarely on Stowell or Zilber, the performances reveal another artful dimension that consistently heightens the album’s appeal. Can of Worms explores that happy and unpredictable space where written and improvised worlds collide, diving deep into group improvisations and compositions featuring taut, tense grooves, wailing sax-confessionals and all-out glorious free-jazz. Formed on a whim for a pick-up gig in early 2013, the strong sense of fun, interaction and joyous anarchy quickly convinced saxophonist and composer George Crowley that this was a project which had to happen properly. Some 18 months later the band have recorded their first full-length record of Crowley's original tunes and his second release for Whirlwind Recordings. The album features a razor-sharp, interactive line-up of some of the most distinctive musicians on the burgeoning London scene. Crowley is joined by a fellow tenor saxophonist and close musical ally in the Loop Collective's Tom Challenger (Brass Mask, Dice Factory), while the rhythm duties are performed by Dan Nicholls (Strobes, Vula Viel), Sam Lasserson (Jeff Williams, Julian Argüelles) and Jon Scott (Kairos Quartet, Mulatu Asktake) with an alluring combination of precision and flexibility, order and chaos. The resulting music is uncompromising yet warm and playful. Following hot on the heels of Crowley’s quartet debut, Paper Universe (Whirlwind 2012), Can of Worms features seven colorful new originals which gives this impressive band— and its leader— ample room to shine. Crowley’s floating introduction cues up ‘The Opener’, leading to a coruscating group theme which gives way to the first of many purposeful and inventive solos from Dan Nicholls. Elsewhere ‘Ubiquitous Up Tune in 3’ explores more familiar melodic territory with passion and intensity; 'Rum Paunch’ sees the group taking a delicate, fractured blues-like theme into searing improv while ‘Terminal’ has a glorious anthemic quality with searing solos from both tenor players and some hard grooving wurlitzer from Nicholls, underpinned by buoyant support from Lasserson and Scott. All of this takes the listener on a journey where unexpected delights litter the way. 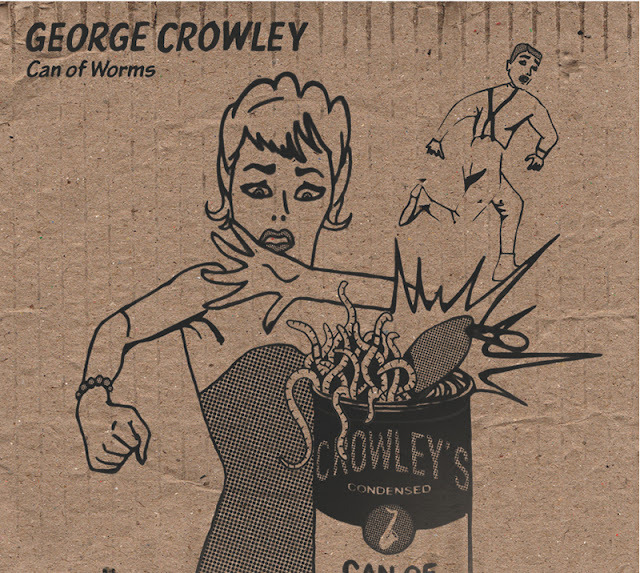 If Crowley’s debut Paper Universe signaled his arrival as a performer and composer, Can of Worms represents a development, a shift in gears which is arresting and entertaining in equal measure. 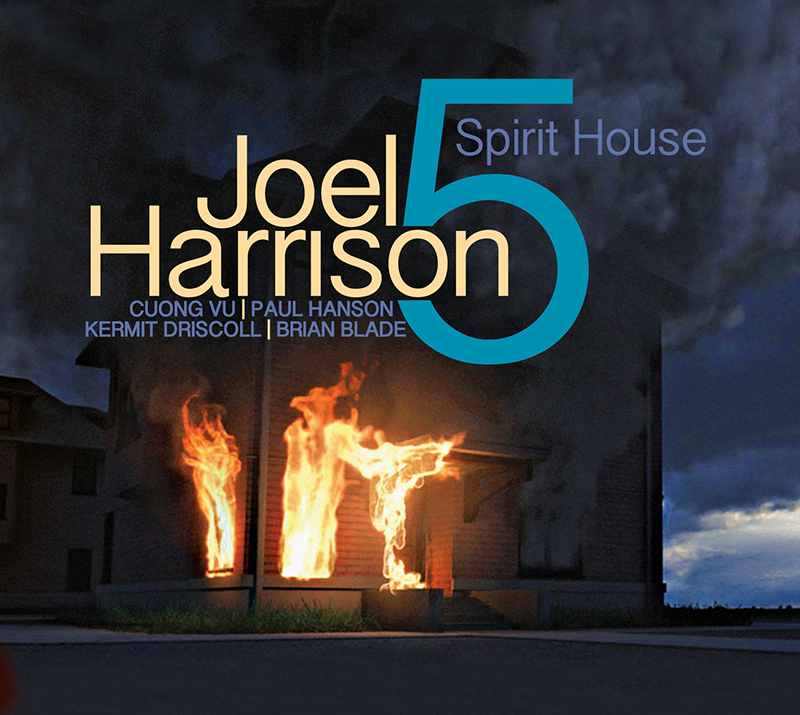 Spirit House is a Joel Harrison original! Original compositions, ideas, instrumentations, and grooves. While jazz sometimes repeats itself (in style, instrumentation, or choice of songs etc. ), Harrison creates completely new music worth listening to, "repeatedly." I say this because he wrote the music "specifically for this unique group of individuals," using electric guitar with bassoon (Paul Hanson), and the echoed voicings of trumpeter Cuong Vu. Add in veteran drummer Brian Blade and bassist Kermit Driscoll, and you have a spirit-band of professional brothers. For example, the first song "An Elephant in Igor's Yard" makes use of the bassoon doubling the bass line to get a lumbering but well defined elephant sound, and Cuong Vu answers by improvising as the trunk. But that description doesn't do the song justice, because throughout there is a feeling of incense or spirits floating over the band. Harrison says "I kept the composing fairly simple, wanting to lean on the intuitive skills of the players, and went for a feeling of openness, spirit and soul in the music." When I first heard Spirit House my impression was one you might get sitting in a small listening room hearing the musicians delicately and almost within arms reach, as in a small circle. Harrison was using an East Asian miniature structure, a Spirit House, as a metaphor for the album. Some tunes groove more, such as "Left Hook," which has Driscoll on electric bass playing back and forth off of Blades, while Vu solos, and Harrison adds blankets of chordal sounds, although he is apt to add rock distortions and effects. But the tune transitions into a softer section, allowing Hanson to express himself sax-like, and it all resolves into a tight, written outro. Johnny Broken Wing features a lightly charged but sensitive guitar intro. 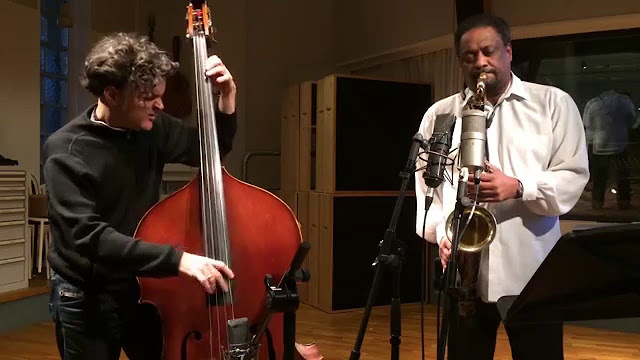 Harrison is able to arrive at his style in this setup, and the tune picks up when the bass and drums bring in the beautiful organic sounding head played duet style, trumpet and bassoon. The musicians are really listening well to each other on tunes like this. "You Must Go Through a Winter" is a light structure of a tune leaving room for trio play between guitar upright bass and drums, before Vu enters on improv. The band toured together on the West Coast in 2013 and was able to play through these songs for several days before recording, allowing them to take a unique approach throughout the album's nine songs. "Sacred Love" perhaps best captures the mood of the whole project, which has gorgeous intro lines with Vu Hanson and Harrison, breaking into a Blade and Driscoll groove. While Blade has remained soft in approach for much of the album, he's able to drive a stake in the ground on this one, and the band goes for a sort of "group hug" (LOL) improvising all together. 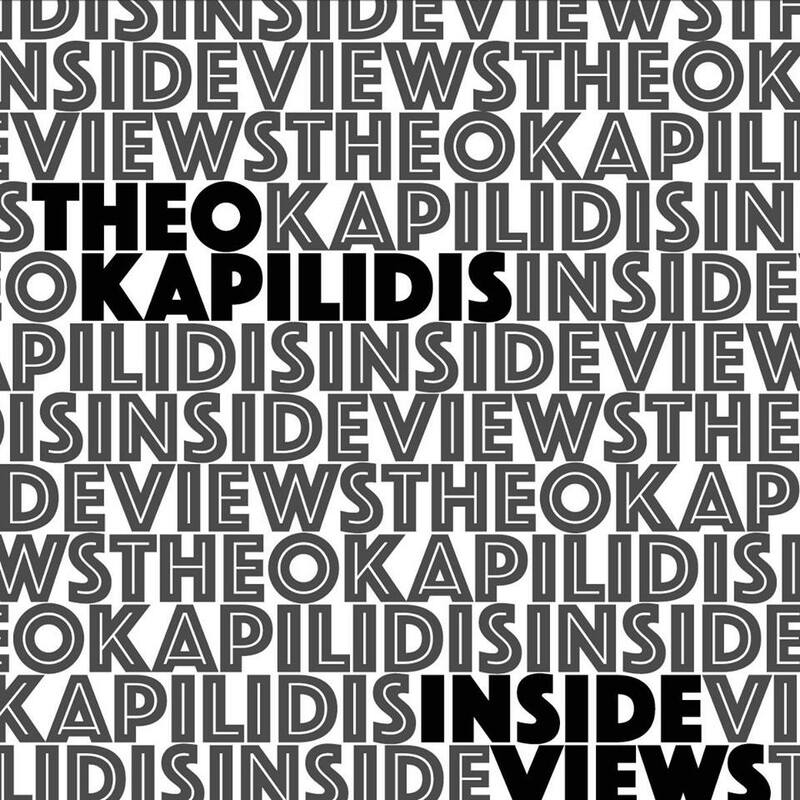 Theo Kapilidis , guitarist and composer , was born in Greece. He was fortunate to grow up in a very musical family . During his childhood he spent much time in a record store of his father , which he came into contact with jazz early on. At the age of twelve years, Theo was playing the piano and devoted himself mainly to the guitar. 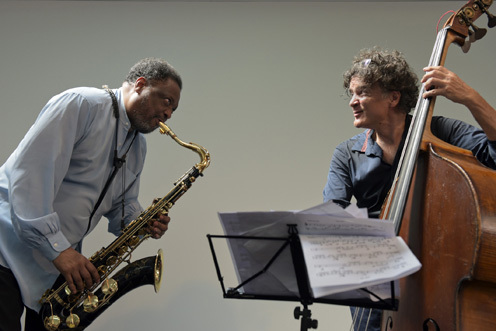 The five-year jazz studies at the Swiss Jazz School in Bern (CH ) , he finished successful at age of 25 . After graduating gave Theo countless jazz concerts and participated in a variety of other projects . In 1985 he returned to his hometown , where he worked as a studio musician and has taught at the Synchronous Conservatory of Thessaloniki. First recordings were made simultaneously with the electric jazz trio. 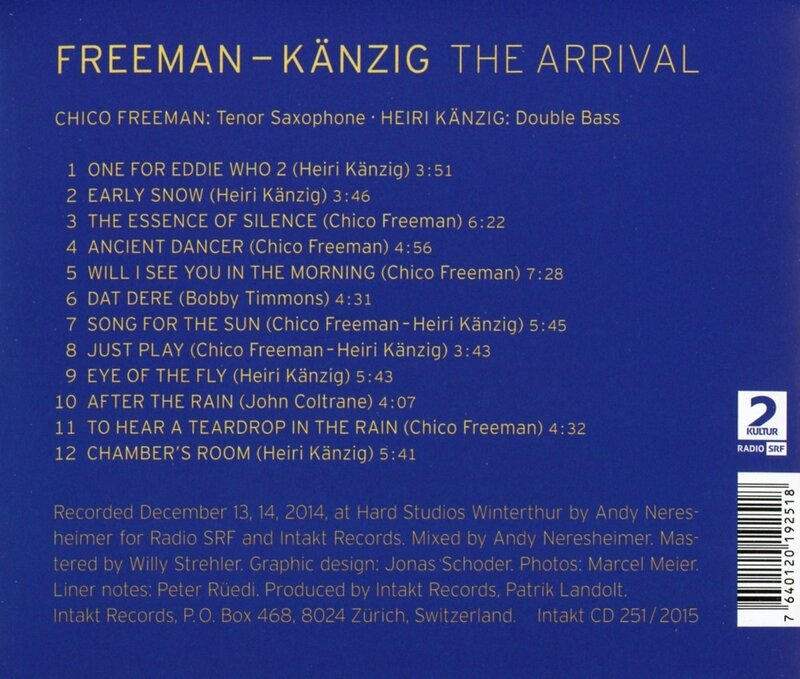 Since his return to Switzerland in 1991 Theo has worked with many famous jazz musicians. These include, among others, John Voirol , Heiri Känzig, Rätus Flisch , Michael Zisman , Matthieu Michel,Herbie Kopf, Daniel Schenker,Chris Wiesendanger,und Tony Renold. 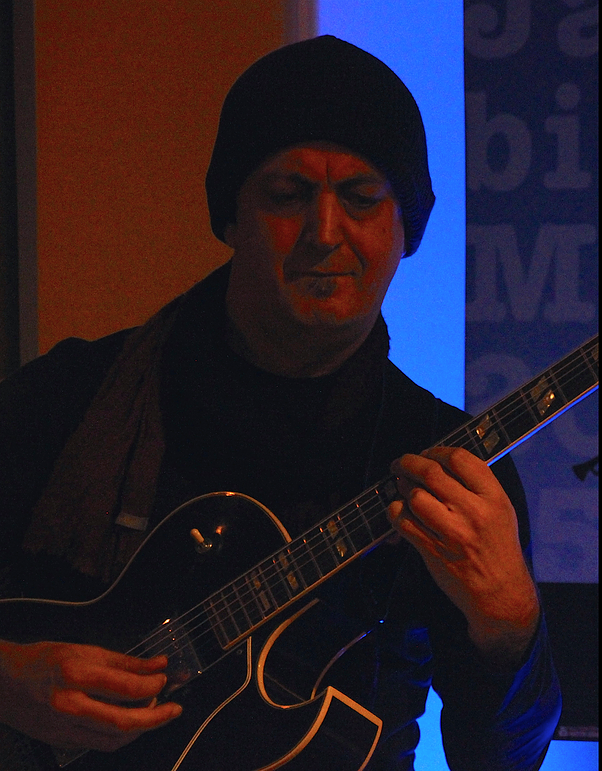 He also played in various bands together with renowned artists such as Manny Boyd, Danny Heyes , Keith Copeland , Johnny Vidacovich. Theo currently teaches at the Zurich University of the Arts. As a bandleader , he recently took on two new CDs : "Bright Shadows" and ''Inside views'' feat. Will Winson Sax, Glenn Zaleski piano,Rick Rosato bass, Colin Stranahan Drums. His interest in music is focused in the expression and in the unite of authenticity with a pioneering spirit . 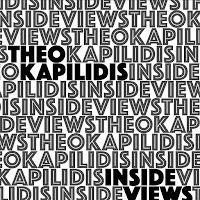 Im paradoxen aber mit Bedacht gewählten Titel ’’INSIDE VIEWS’’zeigt sich schon jener raffinierte Hintersinn, der Kapilidis´ Musik ausmacht. 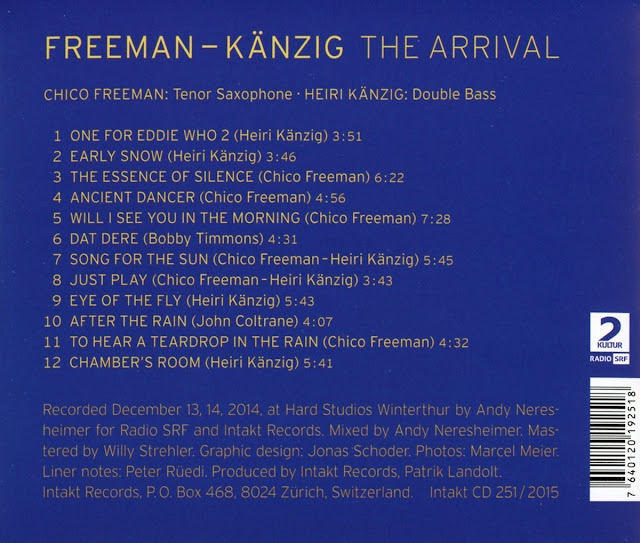 Das neue Album besitzt die ganze farbliche Breite und den konzeptionellen Reichtum von traditionellem Hardbop- und Souljazz. 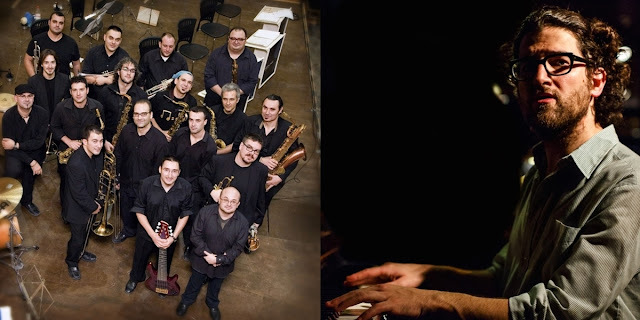 La Suite del Emigrante es la nueva obra firmada por el pianista y compositor valenciano Albert Sanz y que presentará por primera vez al público en el Festival de Valencia. Esta suite está inspirada en la idea del viaje, de la partida en busca de una oportunidad y mejora de vida. Este es un viaje lleno de ilusión por conocer nuevos mundos y lenguajes en la lucha de la superación personal, y a la vez de honda tristeza por el desarraigo y añoranza de una tierra generadora de sentimientos enfrentados de amor y reproche. 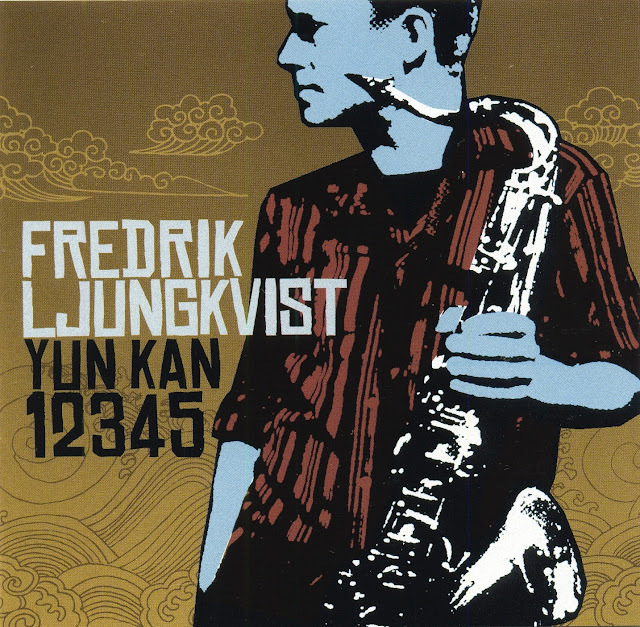 Acclaimed Swedish reed player Fredrik Ljungkvist's key solo outfit is the Yun Kan band. This band, in its incarnation as a quintet, released two remarkable albums, Yun Kan 12345 and Badaling (Caprice, 2004 and 2007) and in recent years operated in a slimmed down version as Yun Kan 3 and as an ambitious outgrowth of the quintet as Yun Kan 10. Now, finally, more than five years after its last documentation, this ensemble has been beautifully recorded by Swedish Radio. Ljungkvist's ten original compositions swing between opposite sonic poles. It is a big band that rarely exhaust its full capabilities. The musical language encompasses modern, free-bop forms and new chamber music in well-crafted segments, sometimes focuses on soloists and at other times highlights Yun Kan as a musical collective. It bridges the gap between solid, intricate textures and powerful, intuitive free improvisations and between the contemplative and the ironic. It emphasizes unique sonic elements such as the operatic vocals of Sofia Jernberg, a member of Seval and The New Songs, or the vintage synthesizer sounds of Mattias Risberg. Ljungvist's playing can be fiery and expressive but also fragile and poetic. But eventually Ljungkvist and Yun Kan 10 aim to find a balance between these opposites, to find an organic forms of articulation that will cover the spectrum. All the compositions were arranged by Ljungkvist and are spread on a double album, make full use of the singular and resourceful voices of the ensemble members. 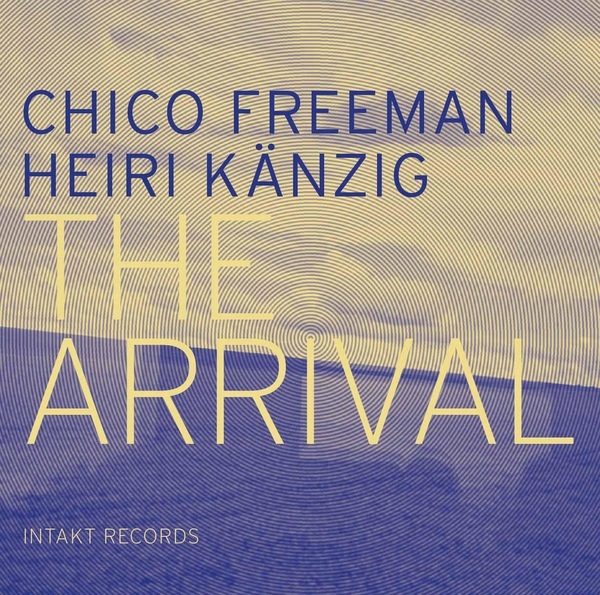 On the first disc, "Lackritz" stresses the playful, suggestive vocals of Jernberg and the expressive tuba of Per-Åke Holmlander, a member of the original quintet as well of Peter Brötzmann's Chicago Tentet and the Barry Guy Orchestra, contrasted with the sonic searches of violinist Katt Hernandez and bassist Mattias Wellin, also of the quintet, and the free improvisations of drummers Jon Fält, another member of the quintet, and Raymond Strid. "How To Break A Fever" is a quiet and subtle piece that attempts to find middle ground between the celstial vocals of Jernberg and the low drone of the horn and brass instruments. Only on "Hold On To Your Hat!" does Yun Kan 10 begin to sound like a band whose musical vocabulary is rooted in jazz legacy, swinging happily over an infectious melodic theme, with passionate solos by trombonist Mats Äleklint and Ljunkvist. A chaotic, dark soundscape is formed on "Fighter," torn between the idiosyncratic vocals of Jernberg, the brooding keyboards of Risberg and the whole ensemble. "Kun Lun" revolves between the restless, otherwoldly sonic explorations of Jernberg, Risberg, Holmlander and Äleklint and calm reasoning. The second disc continues to present this ensemble's ability to create a colorful range of arresting forms. It opens with the poetic "Dolphinian Motion," structured around Ljungkvist and Jernberg, in a delicate dance that suddenly erupts into an energetic storm and then gradually involves other participants in the emotional dance. Drummers Fält and Strid stimulate each other on "Tuulikki" and anchor Ljungkvist and Jernberg flights in a flexible rhythmic framework. "No Panic, Just Curious" patiently matures from a reserved, chamber jazz form, featuring Hernandez, to an open-ended, collective free improvisation, linked cleverly with the powerful, orchestral arrangement of " Abraxas," concluding with a charismatic solo by Ljungkvist. The final, contemplative composition, "Russia," finds a fragile balance between all the previous forms and the highly personal voices of its members and shines with elegant creative energy. A masterful achievement. Ten presents Ljungkvist's musical vision at its best. One of the best releases, so far, of 2013. Badaling is the sophomore release of the excellent Swedish quintet Yun Kan 5. 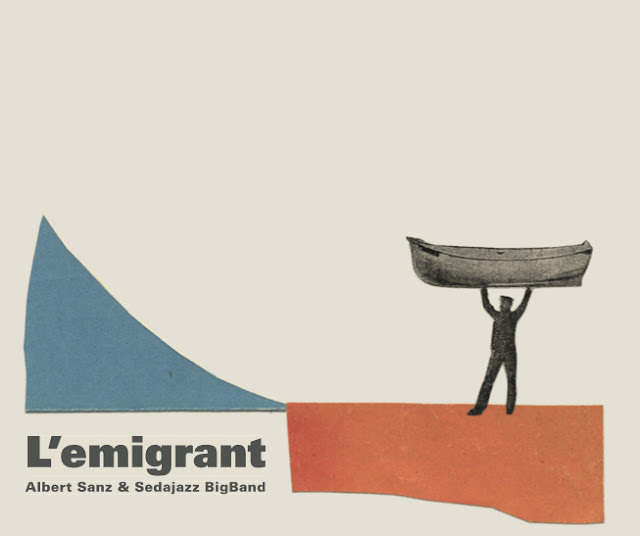 The group is led by saxophonist/clarinetist Fredrik Ljungkvist, better known as one of the key composers in the Swedish/Norwegian quintet Atomic, and for his association with saxophonist Ken Vandermark in various incarnations of Vandermark's Territory Bands. The quintet also features Jon Fält, the drummer with the Bobo Stenson Trio, tuba player Per Åke Holmlander, who is also a member in Ken Vandermark's Territory Band (as well as other forward thinking large ensembles such as the Peter Brötzmann Tentet and Barry Guy Orchestra), pianist and zither player Klas Nevrin, and bassist Mattias Welin. Three years ago, the band released its highly acclaimed debut Yun Kan 12345 (Caprice), and has since toured extensively. As in his compositions for Yun Kan 12345 and for Atomic, Ljungkvist's work here plays with both the inside and the outside of free-bop. He incorporates elements of new music, and arranges the seven new compositions in a manner that sounds wide open, leaving a lot of space for each individual musician to sculpt the unique colors of the ensemble. The opening title track is a fine example of Ljunkgvist's composing skills. He draws the angular, clear theme on the tenor saxophone, and then in turn the piano and the tuba, the bass and the piano, the saxophone and the piano, and the piano and the drums, follow with a series of thematic reflections, until Ljungkvist takes the lead again with an elegant and nuanced solo, before leaving Holmander for a searching passage that slowly finds its way back to the theme. The second composition, the eerie "Folkhemmet", dedicated to Swedish film maker Jan Troell and written together with Nevrin, is more concise. Holmander begins with a brooding solo that establishes the framework for Ljungkvist and Nevrin to improvise upon. "Oslo" is reminiscent of Ljungkvist's compositions for Atomic with its intense and flowing interplay between all the members of the quintet. Holmander shines again, with a subversive and ironic low-end recalibration of Ljungkvist. "Kun Lun" begins with similar interplay but leaves more space for individual solos by the articulate Wellin, the always inventive Holmander, and Nevrin inside his piano. "Ray Battle", dedicated to Swedish master drummer Raymond Strid, a former collaborator of Ljungkvist's, is an open-structured improvisation that features Fält as the leader. Fält explores his percussive vocabulary, while the others contribute often strikingly odd sounds, especially Ljungkvist, with an intense free saxophone solo. "Altro?" features Nevrin leading Fält and Wellin into a stormy opening before Ljungkvist and Holmander join in for a more relaxed elaboration of the theme. The closing composition, "Kopi Luwak," named after the expensive Indonesian coffee, is a cinematic piece that unfolds slowly, with short introductions by Ljungkvist on the bass clarinet duetting with Fält, and Nevrin duetting with Wellin, before the quintet rolls into a tight swinging interplay that highlights the unusual sonic combinations available to the lineup. A varied and well executed set of thoughtful compositions played by a mature and ambitious quintet. Warmly recommended. 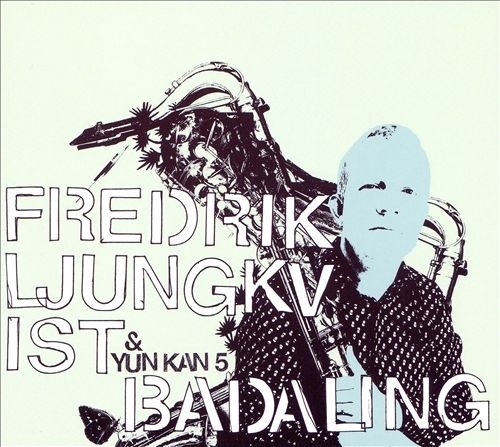 The Swedish jazz group Yun Kan 5 was formed in Stockholm in 2003 by the composer, saxophone- and clarinetplayer Fredrik Ljungkvist. The group emerged from Yun Kan 3, which included the musicians Mattias Welin on doublebass and Jon Fält on drums. Later on, Yun Kan 3 was added by the musicians Klas Nevrin on piano and zither and Per-Åker Holmlander on tuba. They literally had their first encounter in the studio for four days in december 2003 when they recorded the debut album ”Yun Kan 12345”, which was released in march 2004 by the Swedish record label Caprice. The band made a ”Jazz in Sweden 2004”-tour (from the prestigeous Swedish Jazz Award) in October and November -04 and it also included concerts in Kongsberg (Norway), London, Beijing and Shanghai. In the year 2005 they toured in Slovenia and France. 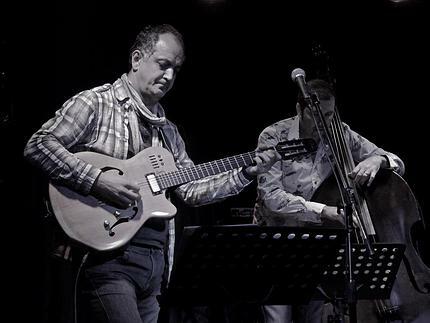 In april 2005 Yun Kan 5 were choosen as the ”Jazz group of the year” by the Swedish Broadcasting Corporation and Fredrik Ljungkvist was awarded the prize ”Jazz musician of the year”. In may 2006 they recorded their second album ”Badaling”. 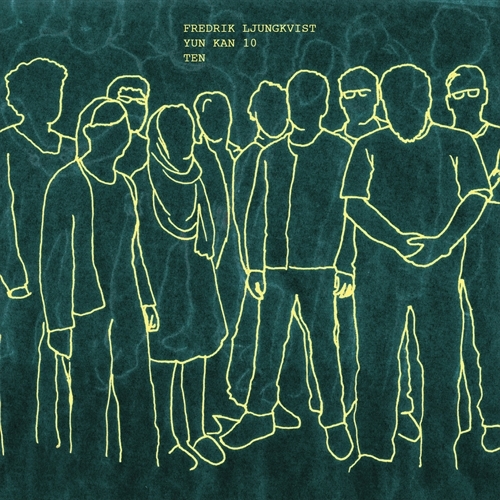 The record included 8 new compositions of Fredrik Ljungkvist and was released in 2007. Fredrik can also be heard in the successful and worldwide known Norwegian/Swedish group Atomic. The other members in Yun Kan 5 are also working with groups as: Bobo Stenson trio (Fält), Ken Vandermarks Territory Band (Ljungkvist, Holmlander), Peter Brötzmann Tentet, Barry Guy Orchestra(Holmlander). Fredrik Ljungkvist has been touring in Canada four times with various constellations, Atomic and Per ”Texas” Johansson are a few of them. The audience as well as the critics received his compositions and his performance with great enthusiasm.